We went on holiday to Egypt recently, and while we were away the UK experienced a little heat wave. When we got back, my beautiful house plants had wilted in the hot weather. The previous time we’d gone away, I’d passed all the plants to my green-fingered neighbour, and they’d come back bouncy and happy. 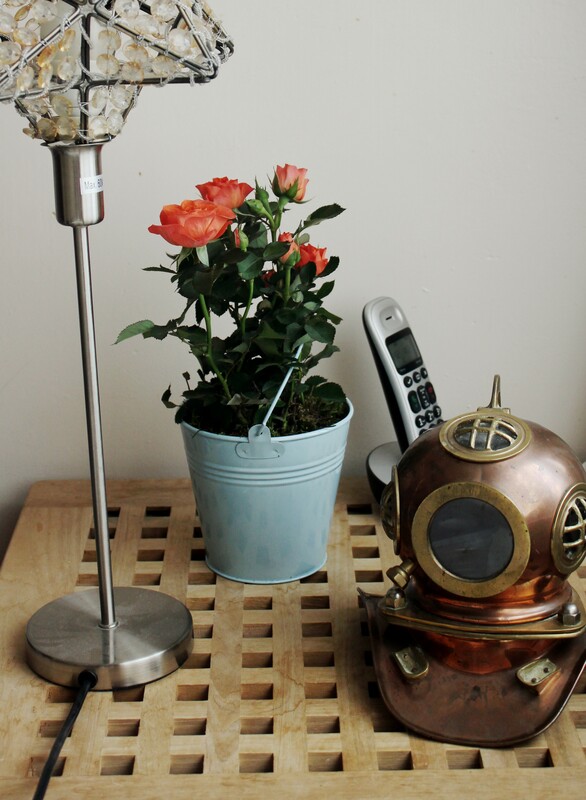 Alas, this time I couldn’t revive them and so I was absolutely thrilled when Serenata flowers contacted me to see if I’d like to review some of their products, because they sell potted plants! 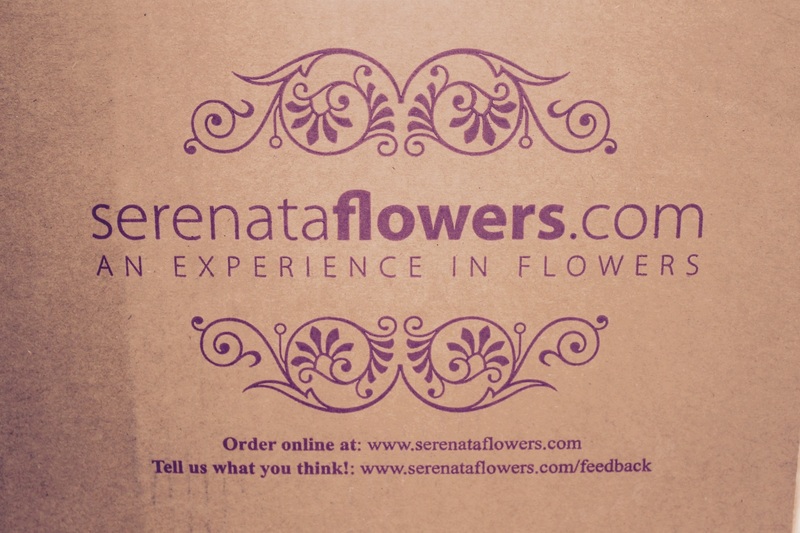 Serenata are the UK’s leading independent online florist, though they sell much more than flowers from their website. They also have a great range of gifts, including hampers of chocolate, cheese, and wine. The flowers look so beautiful, in particular their peonies are stunning! I received two plants, which came in sturdy packaging. The inner support of the boxes turned into a rocket ship, so we had quite a lot of fun with that, too! I received these gorgeous orange roses, which come in a little tin bucket. The plants arrived well watered, and looking fab. The campanula is so pretty. The stems of campanula always make me wonder if it’s a plastic plant or not – do you know what I mean? They’re very structured and the green is so green… I’ll shut up now. I can confirm this is not a plastic plant, but the basket it arrived in is plastic-lined, so you can use it as a display pot – useful, not just cute! 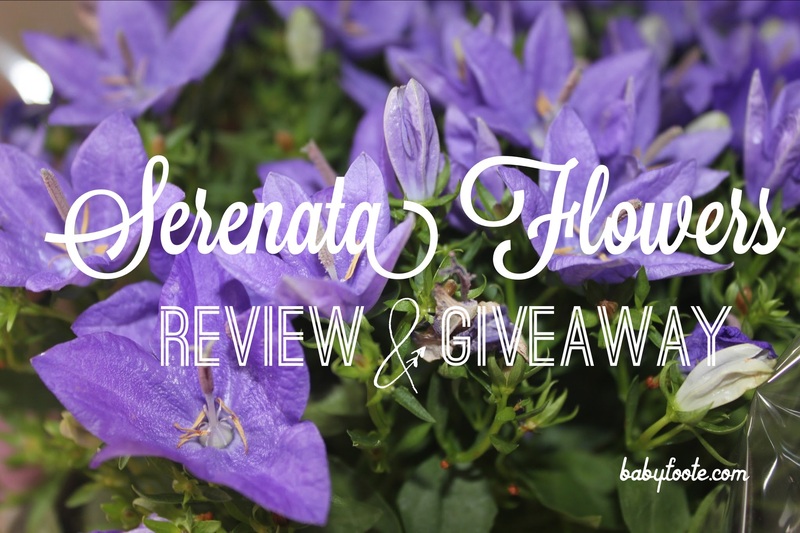 Serenata have given me £40 voucher to giveaway to one of you lovely readers! You can use it on anything you like on their website. Worldwide entrants permitted, but the winner must have their prize delivered to a UK address. Giveaway ends 11:59pm on 17 August 2015. To enter, you must leave me a comment on this post – Simply tell me if you prefer flowers or chocolate! All other ways to enter are optional, but give you more chances to win! See the full T&Cs on Gleam. I prefer chocolate but flowers are much kinda to my hips! Flowers! I love the smell and they brighten up any room or mood! I prefer flowers – they last alot longer than if I was given a bar of chocolate! I love them both, but if I were lucky enough to win I would use the voucher for flowers. Flowers are less often bought for yourself. I would probably use it to send flowers to my friend as a thank you for all the support she has given me recently. Your plants look lovely. A great giveaway, thank you. Hmm Flowers or chocolate, thats a difficult choice, I guess flowers would win as they would certainly last longer in my house! I love chocolates because I can share them with the family. It’s got to be chocolate! Much prefer chocolate, and wife has hayfever…. Oh gosh there’s no contest… chocolate every time. Uh… except that I probably need to think about my wife too, and she’d rather have the flowers. Chocolate as Im a chocoholic! I love both but flowers slightly more! Love both but I can eat Chocolate!! Flowers please, I’m dieting… again. Definitely flowers! Flowers last longer and they don’t get eaten by my boyfriend! I prefer flowers, they always make me feel cheerful! That’s really hard! I love both but I would say flowers if I had to choose, they last longer haha! I think flowers seem more special and have longer lasting power (in this house anyway LOL) so I’d have to say flowers! Flowers! I need to lose baby weight so no chocolate. I prefer flowers, less calories and last longer than a bar of chocolate in my house! I love flowers – they feel like a real treat! I would normally say chocolate but as I’m healthy eating then I have to go with flowers ! Hands down, chocolate wins everytime!! Flowers in my garden…. but chocolate in my tummy please! I prefer flowers – they are something I’d never just buy for myself whereas I’m quite happy to throw a big bar of Green and Blacks into the shopping trolley! Flowers. As long as they are nice, and I can plant them in my garden. Its allways flowers i love the best . Chocolate….if the kids don’t eat it first! Flowers! They brighten my mood and keep me slim. Chocolate as lovely as it is has too many calories lol! I love flowers so much, especially roses. 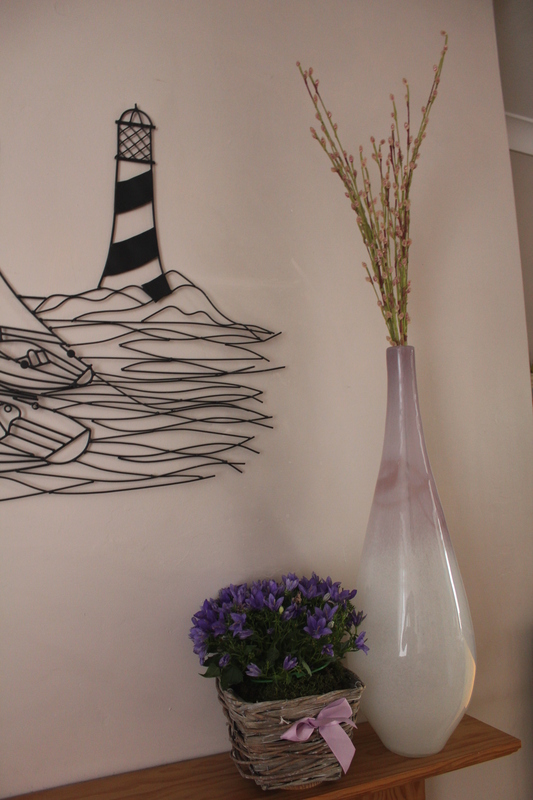 Flowers – always ideal for brightening up the home. Flowers – I would have to eat chocolate and I wouldn’t love myself quite so much when I’d finished. Flowers usually last a good while. As much as I love chocolate I prefer flowers as I love them so much. I prefer flowers as I can’t eat chocolate! Chocolate! It’s delicious. Though flowers are beautiful! Flowers; as I can buy a little bar of Chocolate for myself but if someone has bought me Flowers, it feels more personalised. I’m so sorry but I just can’t choose between these two wonderful marvels of life. A bouquet of fragrant flowers and a box of assorted chocolates will do very well thank you! I love flowers…but I prefer chocolate! Flowers they can be enjoyed for longer! Flowers for me 🙂 I love chocolate but it wouldn’t last five minutes in our house! Whereas the flowers would brighten up my day for quite a while. Got to be chocolate! But it’s a close call! Has to be chocolate, although I need to change that to flowers! I love flowers – they last much longer !! hard choice! I love chocolate but would choose flowers and treat my BFF! Flowers, they last longer & don’t make me need to buy a bigger dress size!! Have to go with chocolate. flowers – cheer our house up and doesn’t put weight on ! Flowers every time but neither last for long. These flowers look absolutely stunning and i bet they smell lovely too!! flowers, choc gives me a bad head. What a difficult choice you have given us! I think it will have to be flowers, makes a room look so much more inviting. Got to be chocolate for me! chocolate. I’m not fussy, usually prefer the cheaper chocolate to the really fancy stuff. I save that for Sarah. I love both but flowers are better for the waistline! Chocolate for me! I’m useless with flowers – they always die prematurely! Chocolate, unfortunately for my waistline. Chocolates – because it sets the scene for a very romantic night in – one arm round the other half, the other dipping into delish chocs – win win! Flowers as they are so pretty! I do love chocolate but I’m fine buying that for myself so for a present it’s always more special to receive flowers! Flowers every time, much more beautiful to look at. Flowers cos I’m fussy about chocolate!